Manages to beat Windows 2000 but still has a lot to go. Two independent analyst firms have started to track Windows 10, with some promising indications about its growth potential. 51degrees's data shows that Windows 10's market share grew seven fold to 0.07% of the total Windows OS while rival NetMarketShare pegs Microsoft's latest OS at a more 0.09% of the global desktop OS market share, up from 0.05% in February. That's ahead of Windows NT and Windows 2000 but far, far behind the likes of Windows Vista and Windows 8 (3.5% and 1.95% respectively). 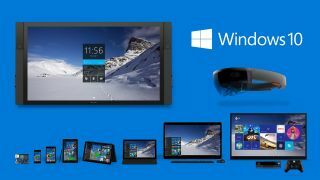 Expect that to change almost immediately as Windows 10 goes live, Microsoft having already announced that it will allow existing Windows 8.1 and Windows 7 users to upgrade to its new flagship OS for free in the first year. Windows 7 remains by far the most popular Microsoft OS with about 58% of the installed based, far ahead of Windows XP and Windows 8.1. More than 3.7 million users have signed up for Microsoft's Windows Insider Program which provides access to Windows 10 and Windows 10 for phones. The Washington-based company has also set itself an ambitious target at its BUILD developer conference, targeting one billion Windows 10 installations within three years. Read our hands-on reviews of Windows 10 for phones and Windows 10.